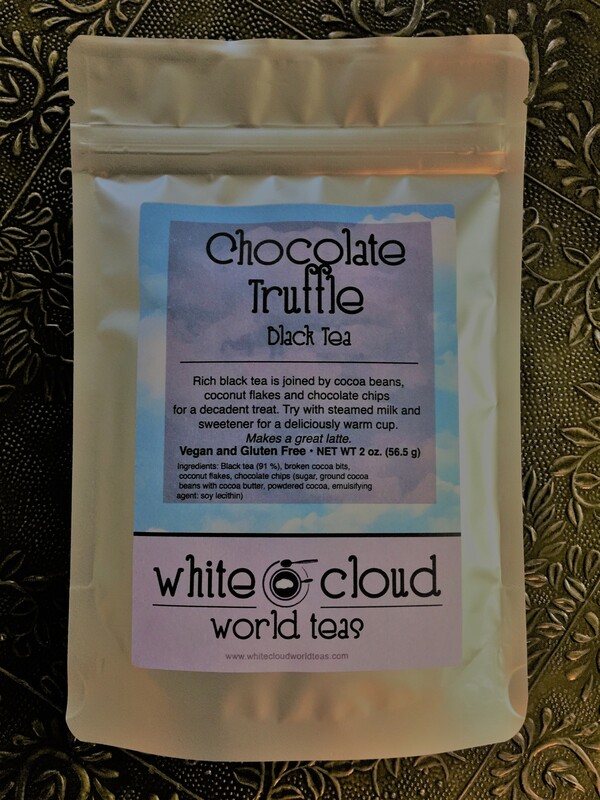 Rich black tea is joined by cocoa beans, coconut flakes and chocolate chips for a decadent treat. Try with steamed milk and sweetener for a delicious latte. What's important to us? You- Tea can be refreshing, relaxing and rejuvenating. We believe that tea = happiness!